We're so happy to say that Spring has finally arrived! That's why we have recited a poem about Spring. This is the presentation that our friends from Olomuc sent to us! We watched the video this morning and we really enjoyed it!! Hope you enjoy it too! Some years ago I had the pleasure to do my teaching practices in a school located in Ada, Michigan. The school is called “Ada Vista Elementary school”. 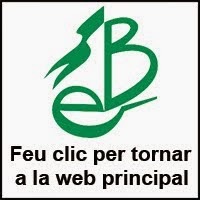 That school follows a bilingual programme Spanish - English. In that school kids don’t start studying English until they go to 2n grade so until then they do everything in Spanish. Since I’m still in touch with the teachers from Ada, I thought it would be nice to send letters to their 2n grade students. And so this is what we did! The “Buc class” has sent letters and Christmas cards to them, and so they have done the same! We've written the letters in English and they've done it in Spanish. So after exchanging some letters with our friends from Olomuc (Czech Republic) it's the moment to see our faces. We started recording a short introduction of ourselves and we have already sent it to Olomuc. Now it's time to wait for the answer!! Olomuc is a city placed in the Czech Republic, with a total of 100.154 inhabitants. 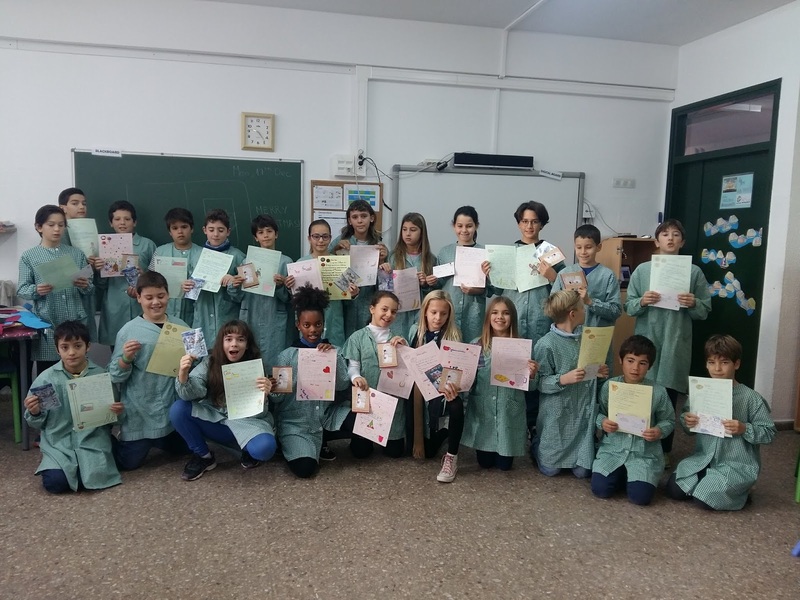 And there, in Olomuc, is where our 5th grades students have got a pen pal. We have already received a couple of letters and a Christmas Card from our friends. 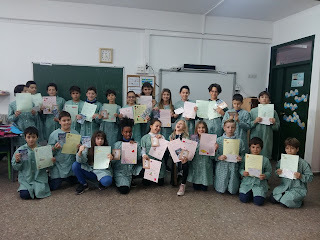 Students are excited with the letters and they feel like writing to their friends and explaining a lot of things about themselves. Here you've got the pictures with the Christmas Cards and a video wishing them a Merry Christmas! !